I have the privilege of watching all the photos from this year’s programs and all the previous years scroll on my work computer whenever I turn it on! It is a window into all that has transpired at Nantucket S.T.A.R. for the last several years. Everyone has grown in so many ways, the physical differences are easy to spot but I also know the tremendous personal growth that has taken place, not only for our students and families but for our staff as well! We have witnessed first hand over 20 students learn to swim, 15 students take on the new challenge of cooking and cross fit, our Sensory Art classes grew so much this year that the AAN had to move us to a bigger room, several new skaters and many veterans in this program of over 8 years, and our water sports programs continue to be a source of immense joy and fun for staff and students! Thank you to all of our community partners , the AAN, The Nantucket Community School and Pool, The Nantucket Ice Rink, Miacomet Golf Club, Nantucket Cycling and Fitness Studio, Nantucket Culinary Center, and Nantucket Community Sailing! Thank you most of all to our staff and volunteers who daily inspire me and to our families and their children who bless our socks off each and every week! Happy Holidays! It is with heavy hearts that we say goodbye to our co-worker, teacher, and dearest of friends. Bonnie was a regular at S.T.A.R.’s skating and adapted water sports program for the last several years. She was always up for an adventure with a smile on her face and ready to jump right in. 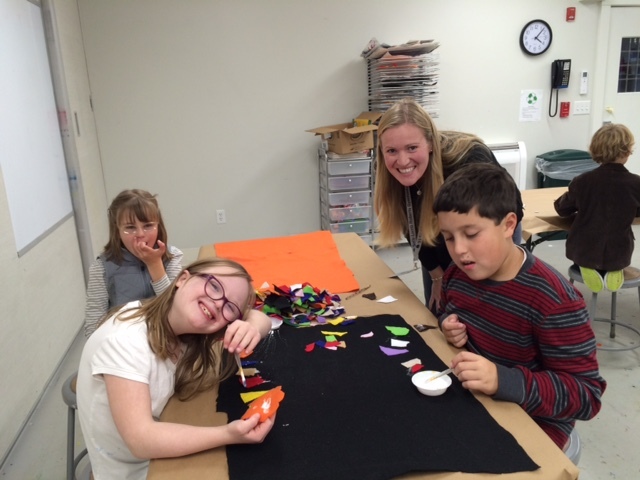 Bonnie’s passion for children with special needs was evident to all of us! 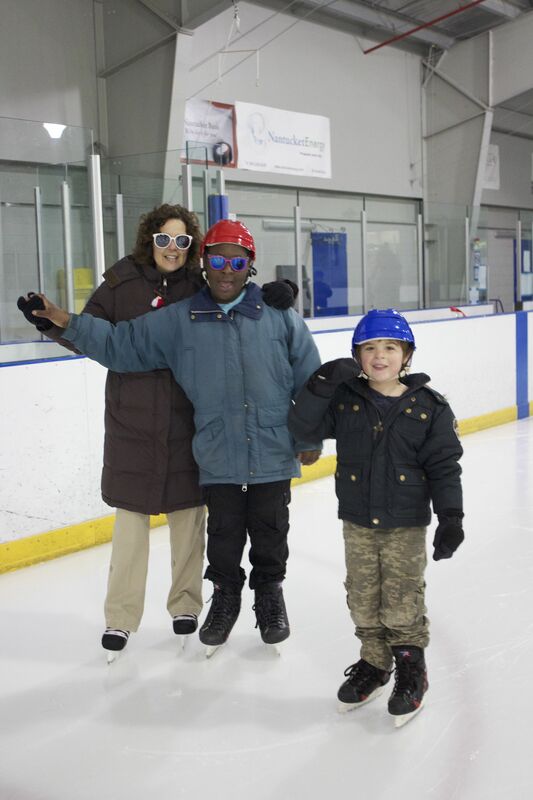 The day this photo was taken was a typical day on the ice for Nantucket S.T.A.R., but the next thing you know there was Bonnie with the sunglasses enjoying a little ice dancing and pairs skating. She was a marvel at fostering an environment that was fun, supportive, and filled with laughter. Thank you Bonnie for teaching us to think outside of the box and that laughter is helpful in just about any situation. Thank you for taking the ordinary and working your magic to make it extraordinary.We will miss you and may your spirit of compassion and strength continue to inspire each one us. Well done Bonnie………. We have had a fantastic summer at Nantucket STAR. It was wonderful to be able to spend so much time in the water playing and spending time with our STAR friends. One of the privileges of being in this position for several years is the opportunity to witness the tremendous growth in our students. I had one of those “life has come full circle” moments toward the end of the summer. 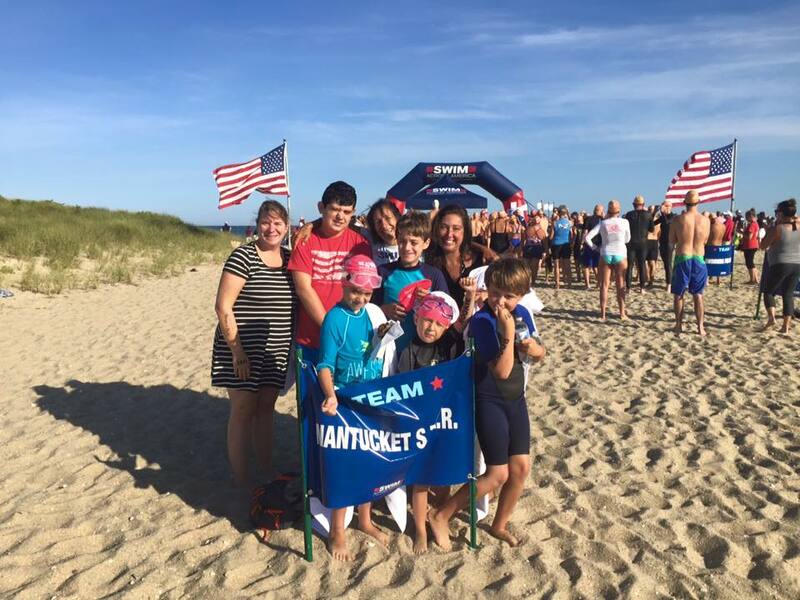 Nantucket STAR was able to put together a team for the Swim Across America event, comprised of students and parents.We put on our pink swim caps and swam the “kids splash” to help raise money for cancer care here on Nantucket. As I had time to reflect later that day, my heart filled with such gratitude and joy for what my friends had accomplished that morning. It wasn’t so long ago that the crowds alone would have sent several of them seeking refuge elsewhere or that they had help learning to swim in STAR’s swim program,or that they had conquered their fear of what lies on the bottom of the sea. Thank you to our families for entrusting your children to us, thank you to Swim Across America for giving us the chance to give back to our community and making a place at the table for our STAR children and most of all thank you to all the beautiful children of STAR who continually amaze us and bring such joy to our lives. We are blessed to know you! We are gearing up for our summer programming and planning to launch summer sign ups this Thursday, June 3rd. We will be offering all our favorites; swim lessons, Friday water sports and then our week of water sports camp in August. We will be hosting a special respite event in August and will also include all the info you need for “Sail To Prevail” adapted sail lessons. We are all looking forward to catching up at the beach and enjoying Nantucket during the summer months. 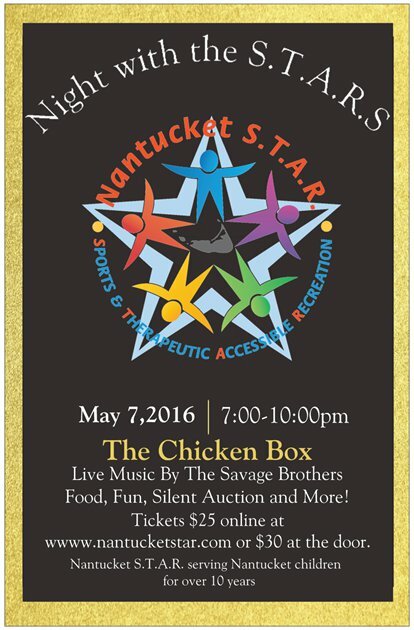 Nantucket STAR along with the Autism Resource Center and Family Support Center are hosting our annual April Respite. From all of us at Nantucket STAR Happy Holidays and joyous New Year! Gratitude: the quality of being thankful, readiness to show appreciation for and to return kindness. I know that we will all be gearing up for the holiday season that is soon to be upon us. I imagine that like most of you, I am trying to purposefully not get caught in the mayhem and enjoy all those small moments that come my way each day. I am thankful for Nantucket STAR and for all the amazing children it has brought into my life. I have had more than one staff/volunteer comment on the highlight of their week being their time spent with STAR. It’s those kids! They are funny, courageous, daring, a bit wild at times, and full of life. Where else to you get to play, create, and enjoy our lives while at the same time working hard on social skills, learning to work together and communicate. Most of all, the children that participate in our programming cause us to remember to take joy in the small things and that a kind word goes a long way. May all of our hearts be filled with gratefulness and remember to be kind to one another. One of our skaters handed me a beautiful drawing a few weeks ago with several sentences written underneath. It was obvious he had worked hard not only on the illustration but his handwriting as well. It said, “I went ice skating last week. It was a lot of fun. I really like skating”. That says it all! I love football. You are probably wondering what does that have to do with STAR- it’s the cheering. I spend a fair bit of my time cheering in this job and that’s a wonderful thing. I get to cheer on the children in our programs both in encouragement as they face a new challenges and then in delight when they accomplish their goals. I get to cheer our amazing staff and volunteers as they to face new challenges and then in delight as they see the fruit of their labor. I get to cheer on our families as they face their bumps in the road and then in gratitude as they share their beautiful marvelous children with us. How fortunate are we that we get to witness what once seemed highly unlikely become ‘been there done that’! I am thankful for all those that cheer me on, to the board that seldom says no and believes in the impossible, to our Nantucket community and businesses who support us, and to my family who makes a way for me to do some of things that mean most to me at STAR. It’s the eve of what begins the summer season here on Nantucket, Memorial Day Week-end. Although we still have several weeks of school left, summer feels right around the corner. We have a few weeks left of our spring session “Learn to Swim” program and what a great time we have all had. It is very satisfying to see the children in our programs move forward as they conquer their fears, learn new skills and just have fun! You will find STAR in the “water” this summer. 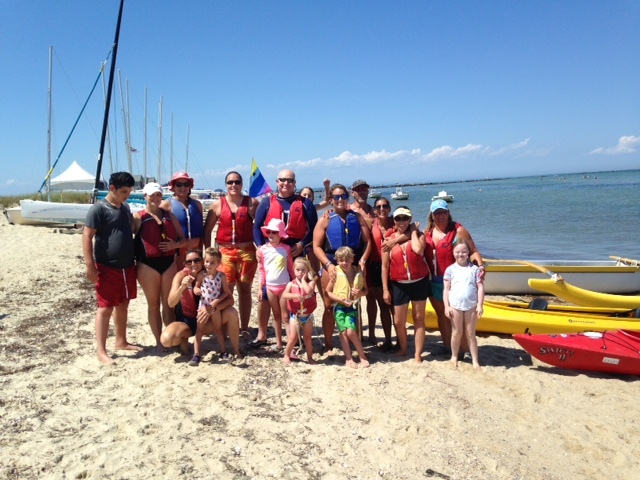 We have our summer “Learn To Swim” classes at the Nantucket Community Pool, kayaking and paddle boarding with Nantucket Community Sailing down at Jetties Beach and one of our all time favorite weeks of the summer, Adapted Water Sports the first week in August. What’s better then a summer afternoon at the beach windsurfing or singing from the tops of our lungs as we paddle around the harbor in the outrigger canoe. We have the best job in the world! We at STAR are looking forward to re-connecting with our summer families and meeting new friends!